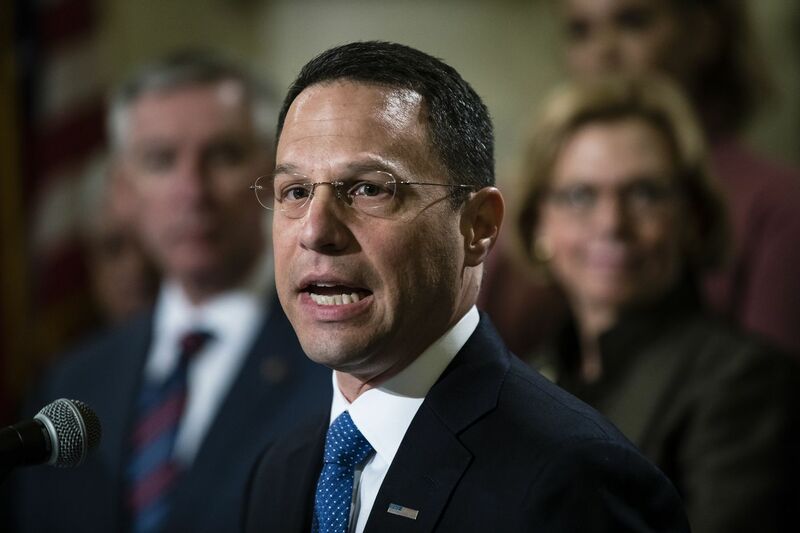 Pennsylvania Attorney General Josh Shapiro speaks during a news conference at the state Capitol earlier this month. Attorney General Josh Shapiro on Monday said the grand jury found “systemic issues” within the state’s medical assistance program that have allowed certain care providers to bill for services that they did not deliver to people who rely on the program. “To be sure, these examples involved unscrupulous actors, but the system let them get away with it for far too long,” Shapiro said at a Monday afternoon press conference in his Harrisburg office. Medicaid provides health-care coverage to 2.7 million low-income, disabled and elderly residents in Pennsylvania. In fiscal year 2017, the state spent $29 billion on Medicaid services. In the same year, state and federal agencies investigated and prosecuted fraud totaling $11.6 million. Shapiro’s office led an investigation, arising from those prosecutions, that found patterns in how people committed fraud. A 25-page grand jury report highlighted the lack of direct oversight that agencies like the Department of Human Services have over people actually providing Medicaid services. Many of those providers submit detailed reports — including the time and date they care for someone on Medicaid — to an intermediate organization that oversees them. But that information doesn’t get shared with the DHS, according to the report. For instance, one provider mentioned in the report worked three separate jobs, sometimes submitting claims for work during times that overlapped. Another person mentioned in the report was convicted of defrauding the Medicaid system by submitting claims for home health workers who, rather than caring for her severely disabled daughter, spent the day painting the house, feeding the dog and running household errands. As a result, the grand jury recommended that lawmakers enact measures to ensure that state agencies can know the identity of people providing Medicaid services, as well as the time and date they performed the work. It also suggested creating a mandated training program for Medicaid providers that would help them better understand what tasks fall within the confines of their job descriptions.